Everyone is looking for practicality and beauty in their ideal home. Unfortubatelly some natural materials such as marble, stone and wood are often difficult to maintain. Porcelain tiles offer a number of advantages over traditional wood floors while maintaining their typical warm and welcoming appearance. These include strength, resistance, durability and ease of cleaning coupled with enormous decorative potential. For example: Wood-look ceramic has high wear resistance, making it suitable for use in high-traffic areas and ideal for creating continuous floors extending throughout the home. In particular, its low porosity makes it perfect for use in wet areas like bathrooms and kitchens. Due to its excellent technical characteristics, it can also be successfully used in exterior spaces such as terraces, balconies and verandas. Its surface finish is unaffected by exposure to sunlight without the need for any kind of treatment or specific maintenance, and the version with anti-slip finish is perfect for swimming pool surrounds. All of these are reasons why ceramic parquet is a very popular alternative amongst both architects and end users. Many clients ask about Porcelain Tiles and how are they different fron Ceramic Tiles. 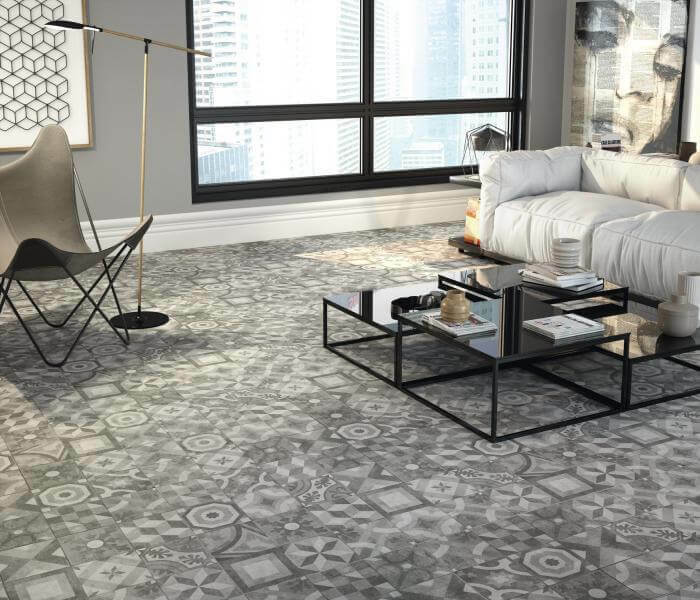 In general, porcelain tile is harder than ceramic and offers greater design flexibility. Although both are made from clay and other naturally occurring materials fired in a kiln, the clay used to make porcelain tile is more refined and purified. “Porcelain is proving to be a longwearing material that is really making its mark on the industry,” says Tanya Woods, an associate kitchen and bath designer (AKBD) in Bloomfield, Michigan. Aesthetics of ceramic parquet sometimes even surpass those of the natural product. Porcelain is available in ultra-modern finishes and colours such as grey, white and brown, patterns based on aged, timeworn and sunburnt wood and an original strip effect design. It reproduces the look of bleached planks and the effect of large filled knots, grain and colour variations, or alternatively wood entirely free of knots – something that is very difficult to achieve with natural wood. Some producers offer highly original pickled finishes, while others recreate the appeal of old, timeworn wood that has been restored and painted. But of course these are not actually “stripped” or “aged” wood-look ceramic floor or wall tiles but an authentic artistic interpretation. Perhaps this is another reason why wood-look ceramic is so popular.